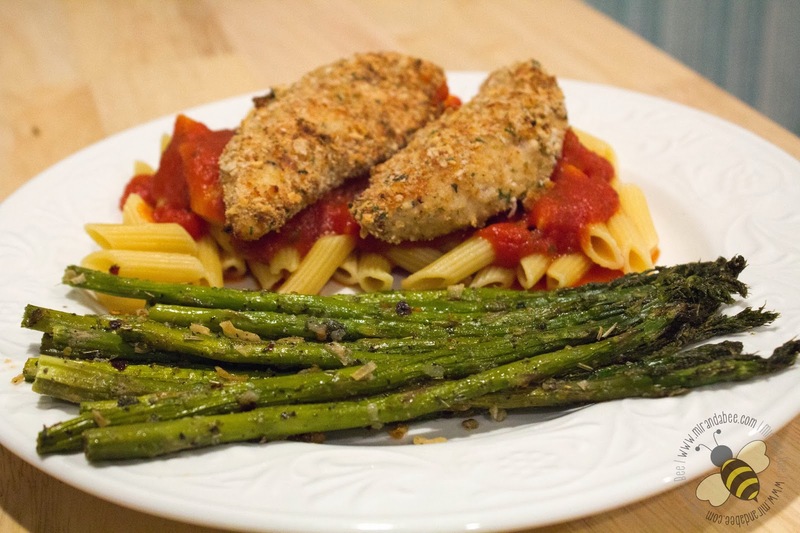 This is a super simply, tasty recipe that makes it easy to include veggies in your dinner. Even when you’re short on time. 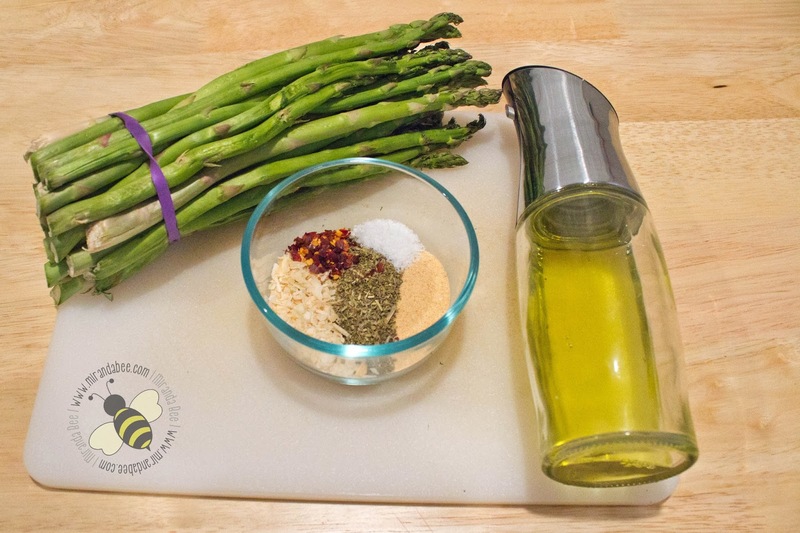 What you’ll need (left to right): Asparagus, dried onion, crushed red pepper, oregano, salt, garlic powder, and olive oil. There are only a few steps to go over, so it won’t take long. 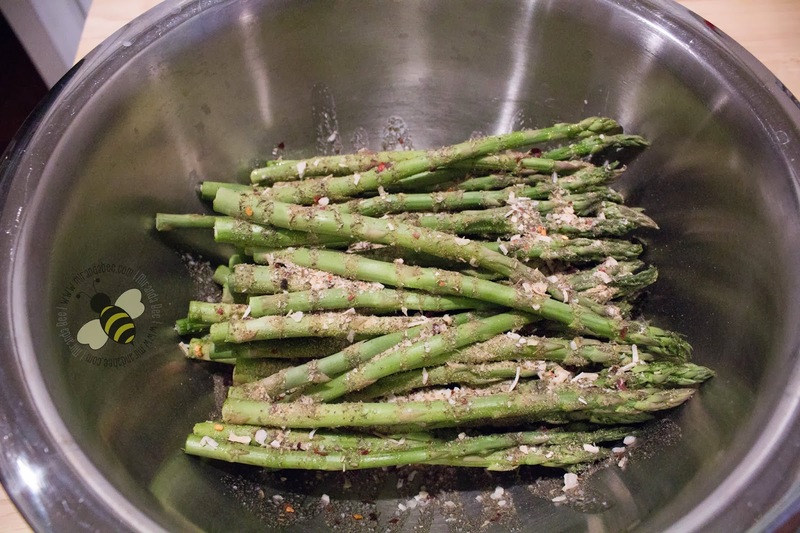 First, cut off the ends of the asparagus (on the stalk side) and place them in a large bowl or pan. Sprinkle them with the oil and seasonings. Mix them well to make sure each piece is coated evenly, then place them on a cookie sheet. This is the most important step! Make sure there is space between EACH ONE!! This makes sure that they develop the irresistible crunch rather than just steaming and getting soggy. If you have to use more than one pan, so be it. I usually do. Bake on 425 for about 15-20 minutes and that’s it! 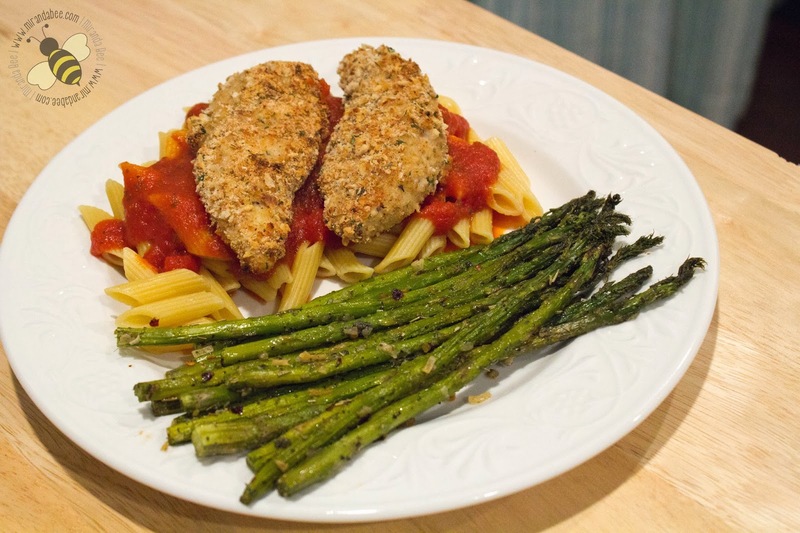 I served ours with Italian Chicken Parmesan. Quick, easy, and tasty. A great way to add vegetables to your meal! 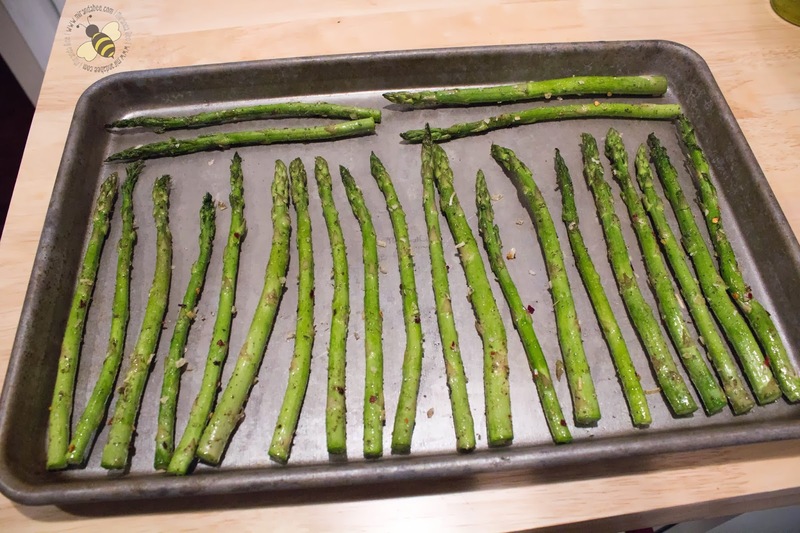 Place asparagus in a large bowl. Sprinkle with seasonings and drizzle with Olive Oil. Bake for 15 to 20 minutes until they are crisp. This is one of my favorite side-dishes for any meal! (I am drooling) 🙂 Everything looks wonderful here! I just bought two bunches of asparagus and was going to look for recipes online, so this came just in time. It looks delicious! We love roasted vegetables!! Brocolli, carrots, zucchini, etc. Roasted vegi's taste so much better than steamed.